Several Raw Dog Screaming Press authors and editors will be attending the Western Maryland Indie Lit Festival, including Michael A. Arnzen, Jennifer Barnes, John Edward Lawson, Heidi Ruby Miller, Jason Jack Miller, and K. Ceres Wright. 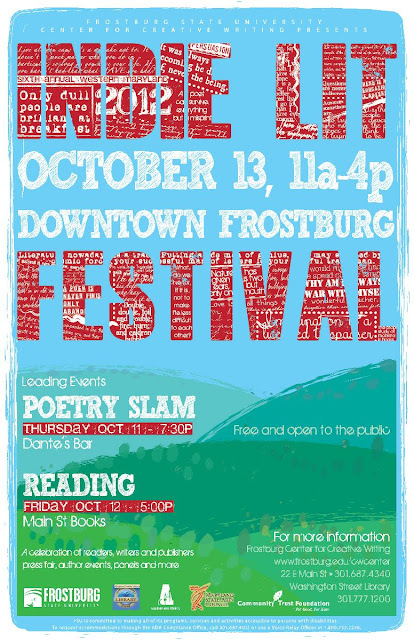 The Frostburg State University Center for Creative Writing, in partnership with the Allegany County Library System, is excited to announce that the sixth annual Western Maryland Indie Lit Festival. The event brings together editors and publishers with writers and educators of the local community. Panel discussions and roundtable sessions include topics on various creative genres, DIY publishing, self-publishing, promotion and marketing, writing local, and reading and writing online. For more information, contact the Washington Street Library at 301.777.1200 or the Frostburg Center for Creative Writing at 301.687.4340. Dog Con Countdown! Jimi Hendrix "Hound Dog"
Dog Con Countdown! Tom Waits "Rain Dogs"
Dog Con Countdown! Helios Creed "Dog Star"